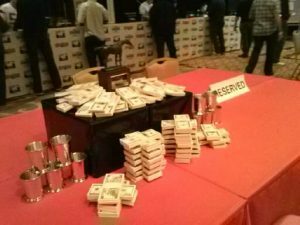 Horses to Watch for AGOS visitors. Mark these Belmont runners down for the upcoming Saratoga meeting. #4 – King of Anything = Rajiv Maragh in the saddle for Dom Giglio. He’s been off 59 days and the trainer wins (21%) with layoff runners. He had a sharp work coming in and was pinched back at the start winding up last in the field. He spun out two wide, then five, and eventually 7 wide at the top of the lane finishing a game 4th. #4 – Stormin Maclean = Luis Saez in the irons for Brad Cox (32%). This was his 2nd start off the layoff coming in from Keeneland. The barn wins (32%) with turf runners and was getting added ground going from 6f – 7f. He was caught in very tight against the rail losing all momentum. He is more than capable getting his picture taken next out. #4 – Kierland = Luis Saez for Mike Maker getting first time Lasix for a (20%) win clip. His last race came off the turf and the barn scores (21%) going dirt to turf. He uncorked a strong rally splitting runners twice down the lane closing in on the leader. He was beaten in the shadow of the wire. #2 – Woodland Mask = Hector Rosario Jr. in the irons and led from start to finish impressively. They set a new track record while in hand throttled down the last 1/16th of a mile in 1:08.10 – This guy has plenty more in the tank. #5 Love and Mischief = John McKee in the saddle for “Buff” Bradley. This filly looked great coming onto the track. This two-year-old broke sharp and was forced to take back and jog home after two horses bumped and were caught in a spill right in front of her. – Toss this race out and she’ll come back and show a better side next out. #1 – C.M. Victoria Rose = Dean Sarvis (23%) aboard for Matt Hebert (50%) this day. This daughter of Thunder Gulch was shipping in from Tampa Bay and dropping in class. She was far back in the field and came flying very strongly in the lane getting beat a head right at the wire. Play her right back and double-down if Sarvis stays in the saddle. Tally Jax (Belterra Park – 10/4/15 – Race #5 – #9 – One mile on the dirt.) – John McKee in the saddle for Eduardo Caramori who has been every effective on the Ohio circuit. He stalked perfectly, and put together a solid bid. He made some late gain, but the track was a sticky goo that ranged between muddy and gummy. It just didn’t fit his liking, and with a surface with a little more grab. I think we’ll have a trip to the winner’s circle coming soon. Luminary Flight (Belmont Park – 10/3/15 – Race #1 – #1 – 6 1/2f on the dirt.) 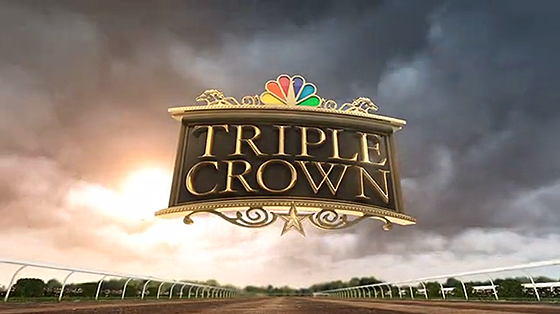 – John Velasquez was aboard for an eventful trip as his mount broke in the air and brushed the starting gate doors. After attempting to settle out for a shot at redemption, he entered the far turn three wide and bumped late in the lane. Red Vine (Belmont Park – 10/3/15 – Race #5 – #5 – one mile on the dirt.) 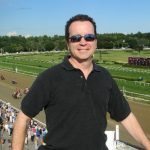 – Joel Rosario teamed up with Christophe Clement. He stumbled at the start and was immediately sandwiched between runner son both sides. After being pin-balled around, he regained composure to put together a top notch run. I think a cleaner trip makes him an appointment for the winner’s circle. Judy the Beauty (Keeneland – 10/3/15 – Race #6 – #3 – 6f on the dirt.) – Jockey Mike Smith was in town to ride for Wesley Ward, and this top shelf gal is always worth the trip. That is, until Saturday. – “Judy” was pocketed up most of the race and the patient Smith waited for the seam to open. She was begging out for room and denied down the lane. Once freed up along the rail it was a little two late as the outer two had momentum and did not allow her time to fire up her jets. – Give her just half a bad trip and she’ll make em’ pay down the lane. Exaggerator (Keeneland – 10/3/15 – Race #8 – #7 – 1 1/16 on the dirt.) 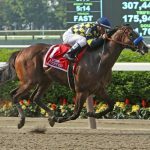 – Kent Desormeaux aboard for his brother had a eerie feel of last year’s juvenile run. He did everything right for most of the trip and spilt horses down the lane to offer up a razor sharp challenge. He did get a little lost nearing the top of the lane and Kent D. got his mind right back on business and he responded quickly. – Each passing race has him maturing, and I think next trip out will be his coming out party. Conquest Tiz One (Keeneland – 10/4/15 – Race #7 – #4 – 6f on the dirt.) 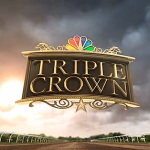 – Javier Castellano aboard for Mark Casse who comes loaded for bear this meet. Jumped out to fight for the lead, settled in with solid pace and looked like a player as they turned for home. She did everything right but win. Maybe it was the fractions, the track condition, or just a bad luck turn. But she’ll get more from this race and be much the better next up. Learn how to handicap more efficiently and apply important modern and traditional handicapping angles with the help of The One Minute Handicapper software. Take advantage of the FREE One Minute Handicapper (OMH) Worksheets in PDF format for the full card at Keeneland racecourse for opening day Friday October 5, 2012 and for Saturday at Belmont Park. 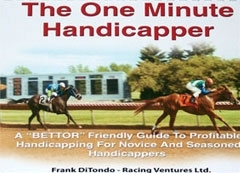 The One Minute Handicapper is a tool designed to supplement one own’s handicapping by doing the work and identifying effective and traditional handicapping angles for the horseplayer. The OMH worksheets are not a selection sheet but rather an excellent handicapping aid that can help you 1) save time; and 2) avoid overlooking a horse with an important angle. 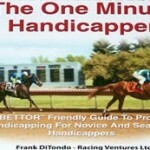 You can learn more about the One Minute Handicapper (OMH) book and software here.